Enkutatash እንቁጣጣሽ is a large-scale public choral work by Jace Clayton, transforming security threats into spiritual renewal. 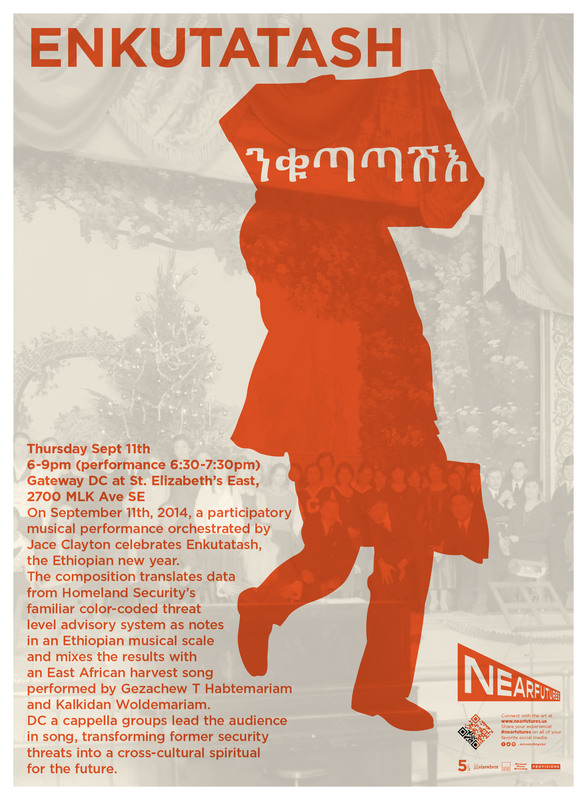 The piece debuted on September 11th 2014, the Ethiopian New Year (Ethiopia uses its own calendar system), and featured a choir singing a musical rendition of the color-coded Homeland Security Threat Level changes superimposed with seasonal African songs. 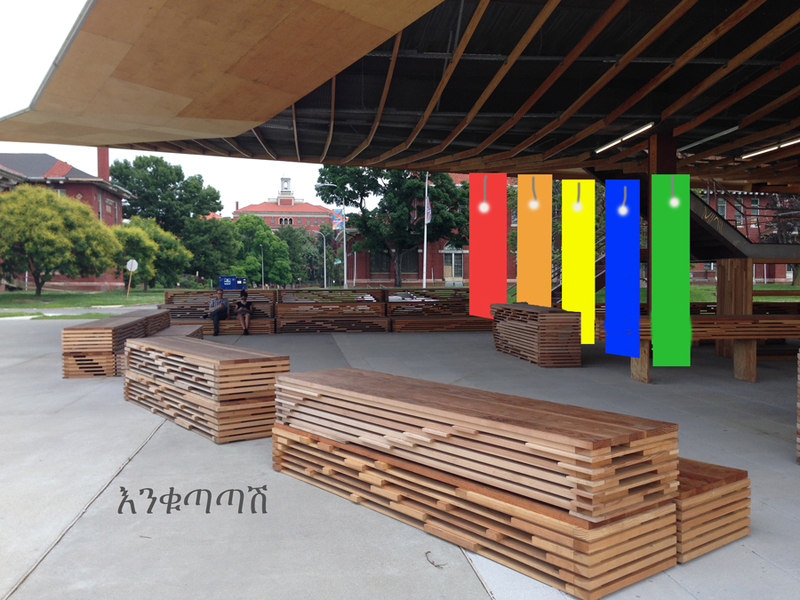 Enkutatash እንቁጣጣሽ treats the changing threat-level data as a musical score to be sung by a D.C. choir and audience participants, using the five-note (pentatonic) Ethiopian musical scale. 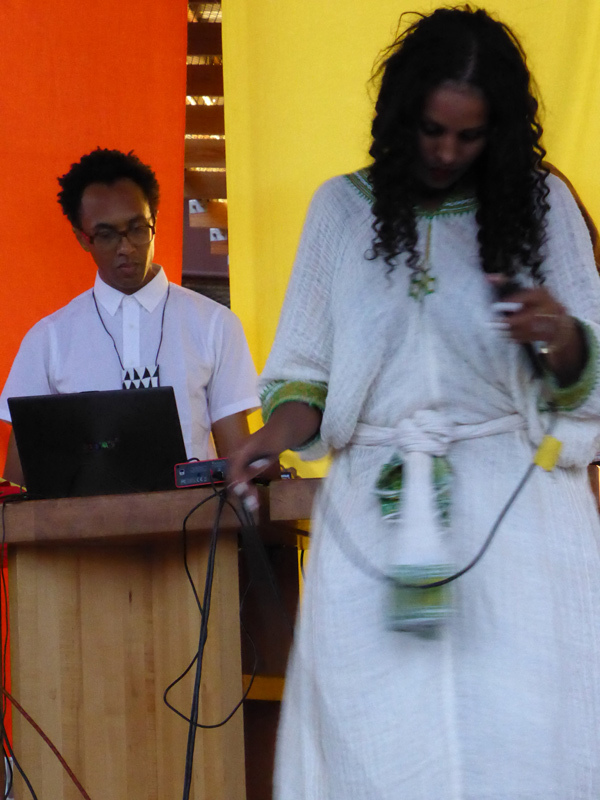 Accompanying the choir are modified East African harvest songs for masinqo (one-string lute) and voice, performed by Gezachew Habtemariam and Kalkidan Woldermariam. The D.C. area is home to the largest Ethiopian community outside of Ethiopia. After the performance there was music by all-lady DJ crew Anthology of Booty and complimentary vegetarian Ethiopian food in tribute to the holiday, from which the piece takes its name and inspiration. 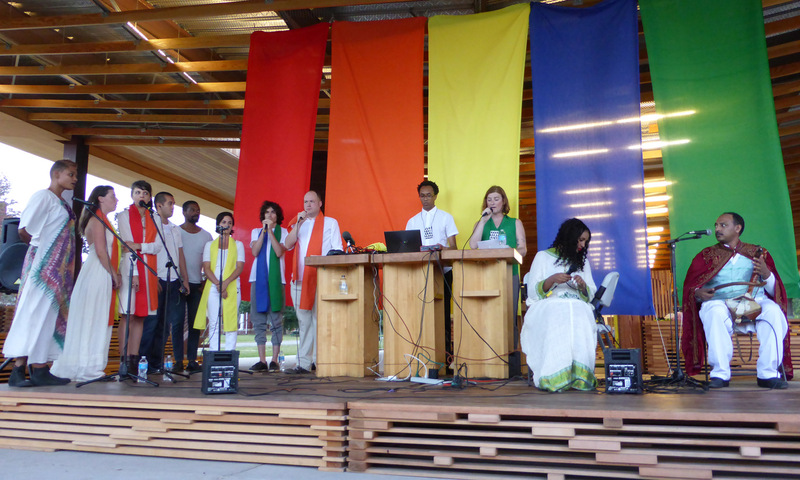 The free outdoor event, commissioned by the 5x5 Project, was staged at the Gateway Pavilion at St. Elizabeth’s East, in the Anacostia neighborhood. St. Elizabeth's is the former national mental institution that currently houses, among others, the Department of Homeland Security.